What does global climate have to do with erosion rates? For the last several decades, Geoscientists have been intrigued by a potential link between erosion rates at the Earth's surface and changes in global climate. What was the cause and what the effect remained unclear. However, a new study now calls into question the link itself. A team of researchers from the GFZ German Research Centre for Geosciences in Potsdam, the University Potsdam, University of Grenoble, and University of Edinburgh re-examined 30 locations with reported accelerated erosion after the onset of glacial-interglacial cycles a few million years ago. In nearly all of the locations, the proposed link between erosion and global climate could not be confirmed. Their study appear in the current issue of Nature. The basic ideas sound convincing: Faster erosion rates can lead to faster silicate weathering and efficient burial of organic carbon in sedimentary basins, both of which can induce global cooling by removing CO2 from the atmosphere. On the other hand, a global increase in erosion rates over the last several million years was associated with glacial-interglacial cycles. This was proposed on the basis of accelerated worldwide sedimentation rates in the oceans. 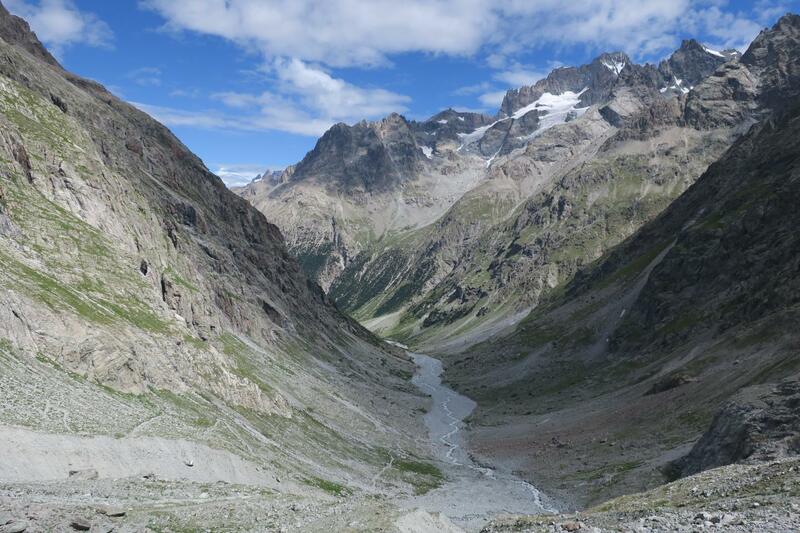 Glaciers scraping off landscapes and subsequent warmings that lead to meltwater transporting sediment into the sea are plausible causes for increased sediment-accumulation rates. Yet, other studies have indicated that global erosion rates may have remained steady over this time period, and that the apparent increased sediment-accumulation rates are due to the irregularities in how sediments are deposited in space and time, and because older deposits are more likely to be lost by erosion compared to younger deposits." More recently, a global compilation of thermochronology data, which tracks the cooling history of rocks as they move toward the surface, has been used to infer a nearly two-fold erosion-rate increase from mountainous landscapes over the last several million years. So the link between glacial-interglacial cycles and faster erosion seemed to be confirmed – until a team of researchers from the GFZ, led by Taylor Schildgen, and from the Universities of Potsdam, Grenoble, and Edinburgh re-examined the 30 locations with reported accelerated erosion based on thermochronology. Their analysis shows that in 23 of these locations, the reported increases are a result of what they term a "spatial correlation bias"; i.e., combining data with disparate cooling histories, a process that converts spatial variations in erosion rates into temporal increases. In most cases, the disparate cooling histories result because data points were combined across major tectonic boundaries (faults). In four other locations, the increases can be explained by accelerated tectonic deformation (i.e., faster mountain-building processes), rather than climatic changes. Together, these 27 erroneous out of 30 proposed links between faster erosion and climate can be explained by neglecting the local context of the data in the earlier analysis, a dangerous potential pitfall in big-data analysis. In only three cases, climatically induced accelerations are recorded, driven by localized glacial-valley incision. The team's findings suggest that thermochronology data currently have insufficient resolution to assess if climate change over the last several millions years affected erosion rates on a global scale. They conclude that currently, no data provide clear support for the hypothesized link between faster erosion and global cooling. Nonetheless, a synthesis of local findings that include location-specific information may help to further investigate drivers of global cooling and erosion rates. 1GFZ German Research Centre for Geosciences, Telegrafenberg, Potsdam, Germany. 2Department of Earth and Environmental Sciences, University of Potsdam, Potsdam, Germany. 3Université Grenoble Alpes, Institut des Sciences de la Terre (ISTerre), Grenoble, France. 4School of Geosciences, The University of Edinburgh, Edinburgh, UK. 5Present address: Institut für Geowissenschaften, Christian Albrecht Universität zu Kiel, Kiel, Germany. 6These authors contributed equally to this work: Taylor F. Schildgen, Pieter A. van der Beek.